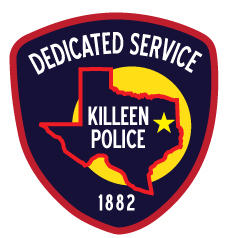 On July 15, 2017, at approximately 6:19 p.m., off-duty Killeen Police Officers working a security detail inside the Killeen Mall located 2100 S. WS Young Dr. called out a large fight involving over 30 juveniles and young adults. Multiple on-duty units responded to the scene to assist and restore order. As officers began arriving, the crowd dispersed, but multiple smaller groups continued fighting inside and outside of the mall building. Initial reports of the incident indicated shots were fired inside the mall, but officers were unable to verify the report. Because of the report of shots fired, several of the first responding officers formed a quick react team and swept through the entire mall searching for armed suspects or possible victims. Neither were located. The initial officers on scene were able to identify some of the instigators. Responding units were subsequently able to locate and stop some of those individuals as they attempted to depart the scene. Inside one vehicle that was stopped, officers located two handguns, one of which was reported stolen out of Austin. There were a total eight arrests – four juveniles and four adults. All were male except for one female. All eight individuals were charged with Riot. The female was also charged with Unlawful Carrying of a Weapon. There were no significant injuries or property damage reported.